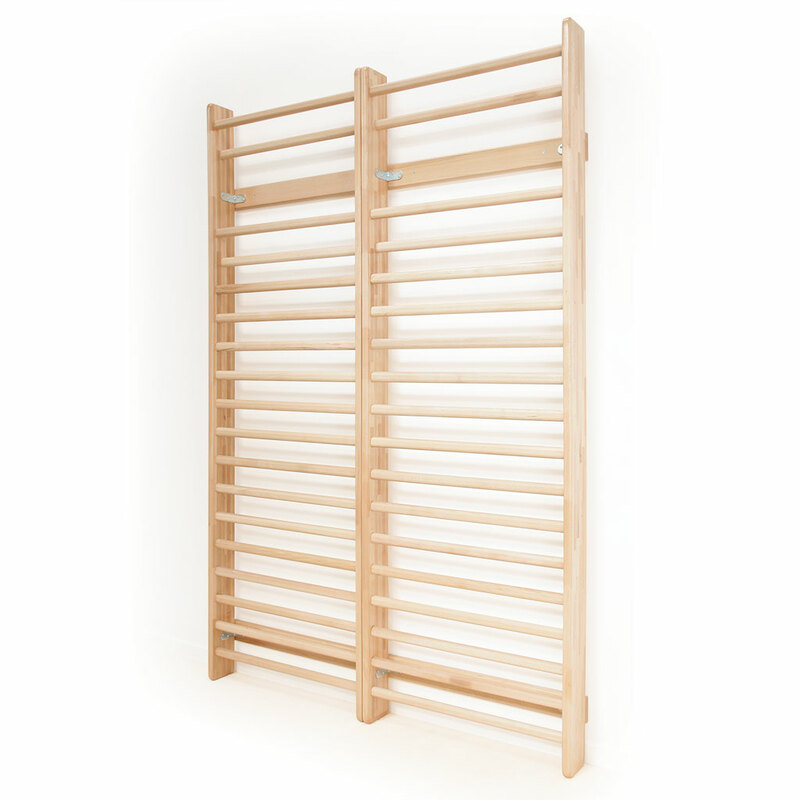 A quintessential element in gymnasia, and familiar to generations of gymnasts, Niels Larsen wall bars are featured in countless installations, both in the UK and overseas. Traditionally wall bars are wall mounted at the top and floor mounted at the base but the more popular ‘hygienic’ arrangement provides for wall mounting at both the top and bottom so allowing free access beneath the installation for cleaning and access. 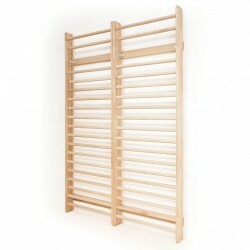 Although the wall bars are supplied as single section units, they can be installed in any multiples desired. All necessary fittings for assembly such as steel angle brackets and timber wall pads are included. Wall Fixings not provided. Only timber from sustainable sources is used.